Vegetarian Samosa – Eat, Click, Travel and Repeat! Samosa’s are eaten when stuffed in pav (Indian bread) teamed with a spicy red chutney or Green chillies. Samosa’s can also be eaten with cholle, which will be called as Samosa chat. I made Samosa from scratch for Sunday breakfast. I had left-over choole from Saturday night dinner. 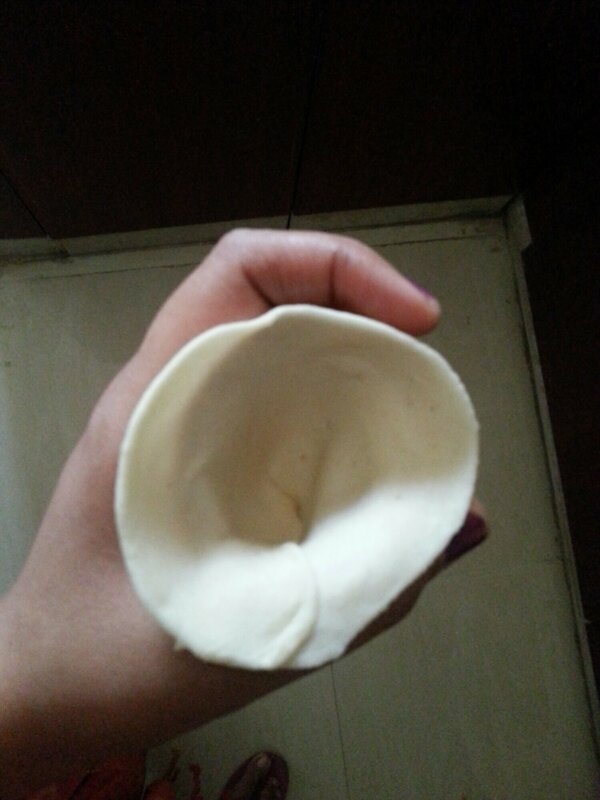 Today I will describe how to make a basic vegetarian Samosa. I started with preparing the stuffing for samosa. Take some oil in a pan. Add jeera, coriander seeds in it. After the seeds look dark, add green chillies and ginger. This should be followed by smashed boiled potatoes and peas. Cook then for few minutes. Add salt, cumin powder, coriander seeds powder, garam masala, turmeric powder, amchoor powder and red chilli powder successively while constantly stirring the potatoes. Knead the mixture of flour, salt and ghee with water into soft yet firm dough. 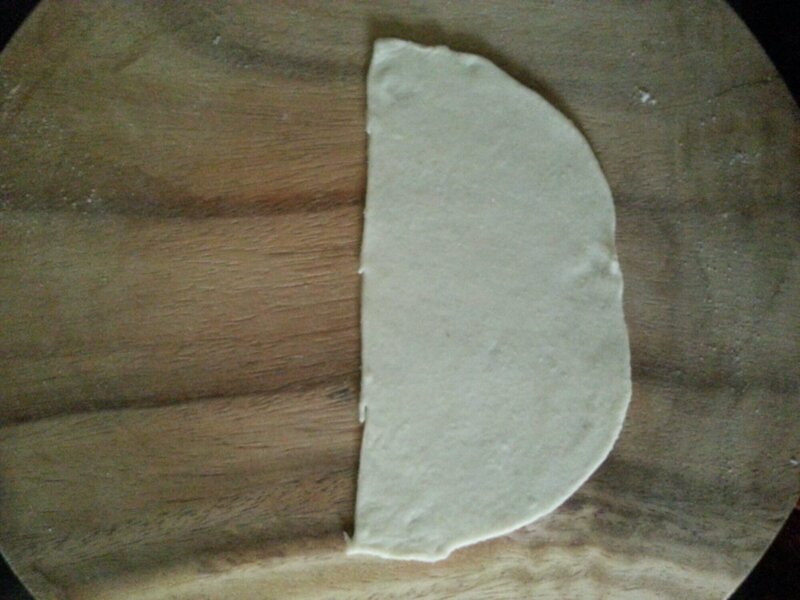 Now make small balls of the dough and roll then in to circles. Cut these circles in to semi circles and then join them along the diameter to form a coffee. Fill then with the stuffing. Ensure to leave some space for folding and sealing them at the base. I used water to seal the edges, dough should be thick enough to hold the stuffing. Now shallow fry them in oil till they are uniformly golden brown in colour. It can be eaten with any chutney or tomato sauce. 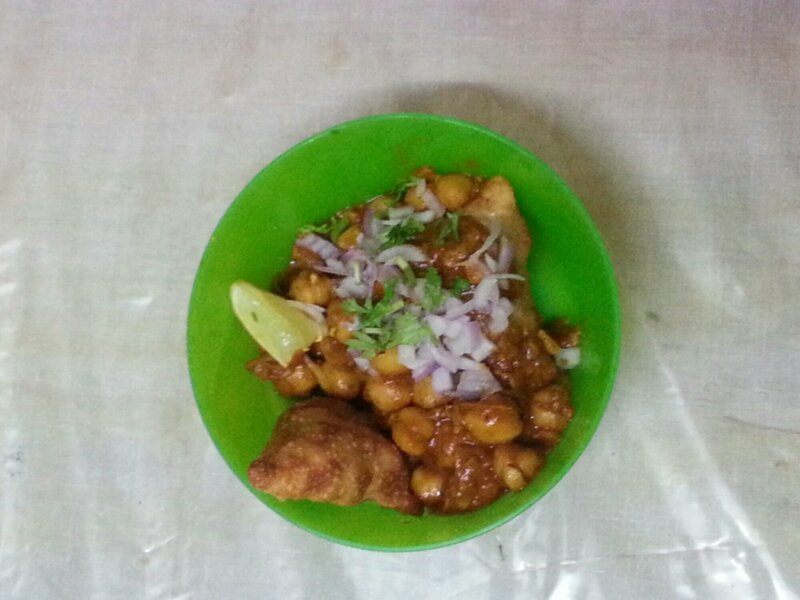 I served them with chhole (chick pea preparation). Garnish them with coriander leaves and onion. Satisfactory. It looked well cooked and the deals did not open while frying to create a mess. It tastes awesome!! Specially with the chhole preparation. 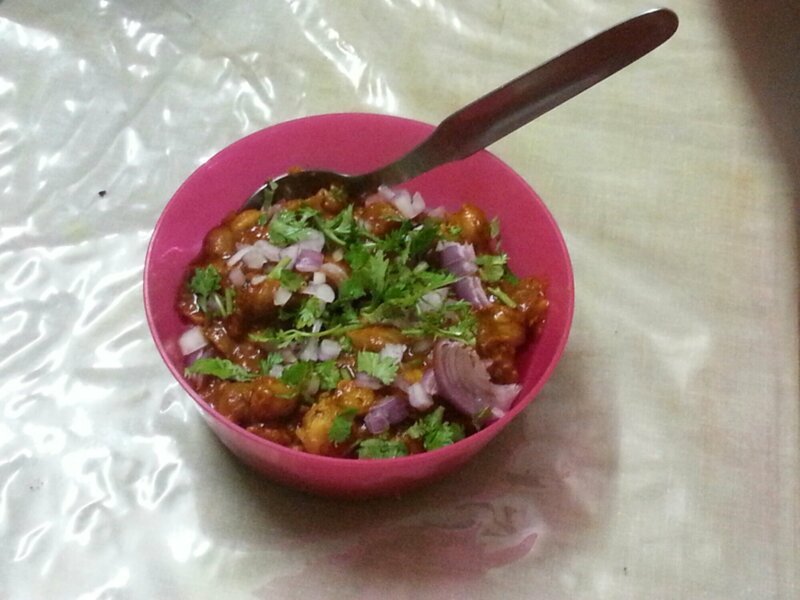 I will soon upload the chhole recipe. A really good Sunday breakfast!! 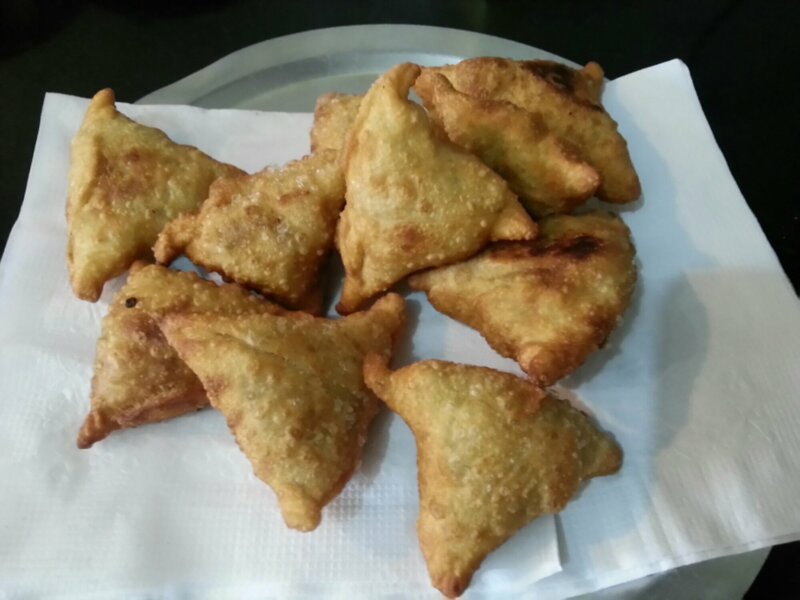 Crispy and tempting samosa……. Tempting ! !